With the Windows 10 October 2018 update, Microsoft has also made a useful change for many users in everyday life without actually publicly documenting them so far. If you are using the latest version of the operating system, you no longer have to “safely remove” USB devices before pulling out the plug. In ZDNet one was recently pointed out that Microsoft has documented in a new entry in the knowledge base, as the guidelines when dealing with USB devices with a Windows 10 version in 1809 have been changed. Anyone who removes an SD card reader, a USB stick or other USB devices from the port of the host computer in the future no longer has to carry out a previously necessary intermediate step. The connected device can, therefore, be easily removed. Previously, “safe removal” of the devices was always recommended, as the default setting for unplugging a USB storage device was always the best performance. In doing so, Windows tries to provide the best possible performance when dealing with external storage solutions, for which purpose a cache of the data to be transferred has also been created for certain activities. So that now no data loss occurs when suddenly removing a USB memory, you always had to go the way over the symbol in the system tray to eject the respective device “Safe”. Now Microsoft has switched to “fast removal” so that no more cache is created. Although this means that you no longer have to “log off” the storage devices with an intermediate step before removing them from the system, however, the transfer rates could not be quite as high. In addition, it may, of course, occur more often, at least in theory, that a user withdraws his storage device without really all the data has arrived safely there. 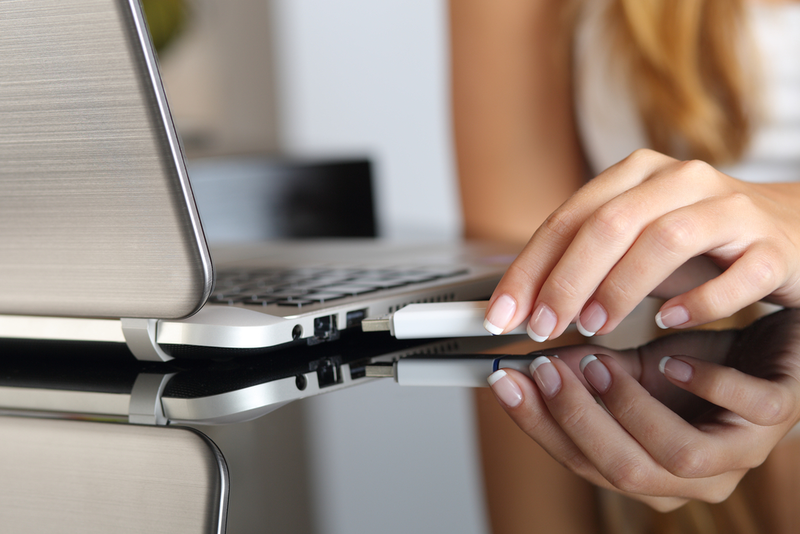 If you want to be completely sure that your USB storage device will not suffer data loss by unplugging the USB stick, the SD card or Thunderbolt device, you can still use the classic detour via the menu in the system tray and the USB Device “Safely remove”, but on the other hand can also be switched back to the old way of dealing with external storage devices. All you have to do is check in file explorer which drive letter the external storage device has. Then you can start the disk management by right-clicking on the Start button of Windows, and then again in the right-click menu of the respective drive to select the “guidelines”. There you can change the setting between “fast removal” and “best performance”. So if you really want to copy important documents and want to be sure, you will still be able to use the old method – including a write cache.